Weight benches of Horizon convince by two essential features, which characterize a high-quality weight bench: stability and adjustability. Sturdy steel frames guarantee an intensive strength training for high maximum load. 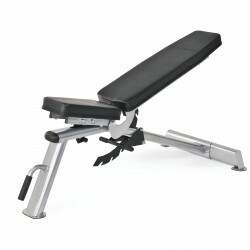 Easily adjustable backrests and seats allow the optimal adjustment of the workout to the physical fitness of the user and make the training much more versatile. The Horizon weight bench Adonis offers everything for an ambitious strength training at home. The rest of the training bench is 7 times adjustable. The weight bench Horizon Adonis can be loaded up to 280 kg. 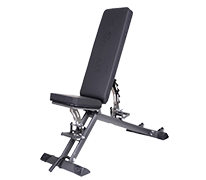 Purchase the Horizon Adonis Plus - a set including weight bench and rack for strength training at home. 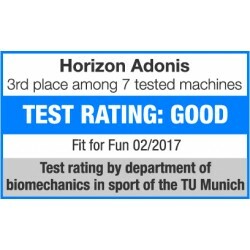 The Horizon Adonis Plus weight bench with rack requires small space, thanks to transport wheels, the multi functional bench is quickly moved. It can be loaded up to 280 kg.